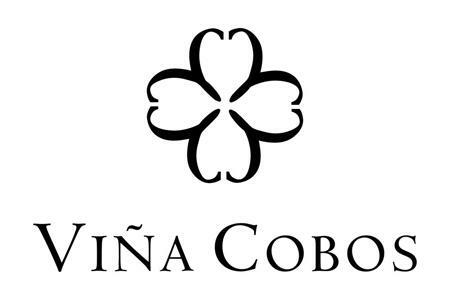 Since the release of the inaugural 1999 vintage of Cobos Malbec, which is recognized for receiving the highest score to date for any Argentine wine, Viña Cobos has developed an expansive portfolio of ultra-premium wines that continues to grow today. Founders Andrea Marchiori, Luis Barraud and Paul Hobbs established this winery with the shared vision of producing an exquisite selection of Argentine wine that would receive international recognition and appreciation. Paul's first exposure to Argentina sparked an immediate interest and intrigue – one that fueled his desire to delve further into its rich culture and explore the varietal growing potential of its terroir. This, combined with Andrea and Luis' Mendozan roots and viticulture heritage, allowed for all three of them to not only achieve their dreams, but exceed them. With the four vineyards of Zingaretti, Rebon, Touza and Marchiori scattered throughout Mendoza's Luján de Cuyo and Uco Valley, Viña Cobos boasts decades of prosperity and hints at a similar future – a direct product of the founders' ceaseless and careful commitment to the winery and consumer's experience. Winery Notes "Spicy and fruity character outstands. The intense ruby red color anticipates a complex, appealing wine. On the nose, the freshness of the red fruit and the herbal notes like freshly cut grass complements the spicy notes of black pepper, clove and cinnamon, as well cedar and tobacco. James Suckling 90"A fruity and delicious wine with walnuts, apples and lemons. Medium body, bright finish. Screw cap."~J.S. James Suckling 91"Tangy and fresh with blueberry, blackberry and light spice character. Medium body, fine tannins and a bright finish. Clear and focused." James Suckling 92 "Extremely dark fruit on then nose with blackberries and wet earth. Full body, with a solid core of fruit and a mineral, blue slate and blueberry aftertaste. Black pepper and spice finish. So much wonderful wine for the money. Drink now." Wine Spectator 91 "A rich, broad red, exhibiting roasted plum and macerated wild berry notes on a full, open-knit frame. Well-integrated nuances of smoke, mocha and spice accent the rich finish. Drink now through 2017. 275 cases imported." International Wine Cellar 91 "Bright medium ruby. Wine Spectator 91" Fresh and juicy, with dark boysenberry and damson plum notes pushing through to a long, mesquite- and cocoa-infused finish. Drink now." Wine Advocate 90"The 2010 Felino Cabernet Sauvignon reveals an alluring nose of cedar, violets, tobacco, and assorted black fruits. Nicely concentrated and impeccably balanced, this savory effort will provide optimum drinking over the next 6+ years. It, too, is an outstanding value."